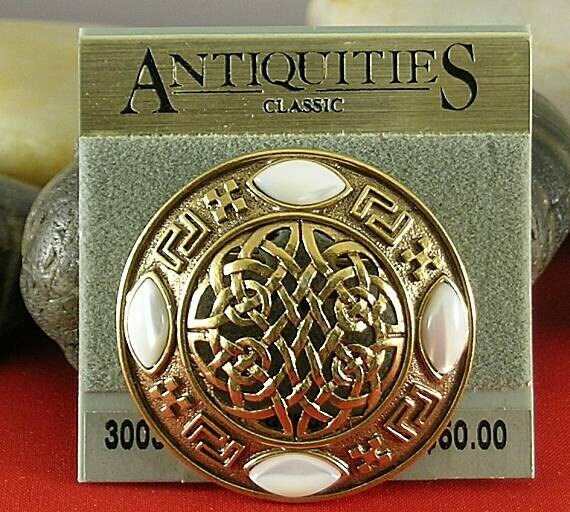 A Celtic Knotwork Brooch from discontinued stock of the Antiquities Couture Collection by 1928. 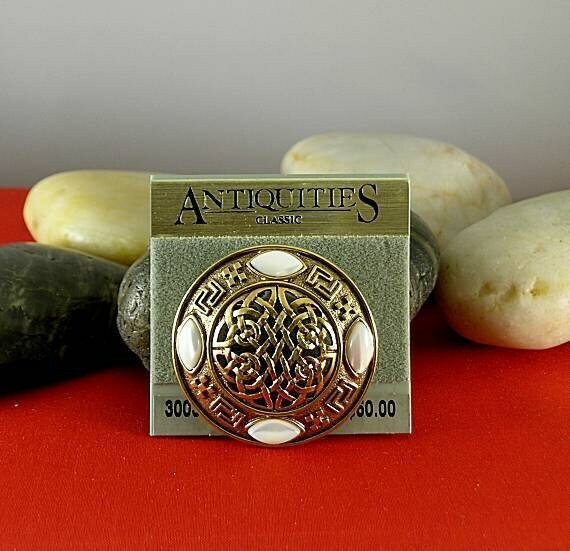 A classical round brooch with a knotwork design in the center was popular through many centuries. The setting is 24K electroplated gold with mother of pearl set into the border. Measures 1 5/8" X 1 5/8"